Woodville High School was at the centre of post World War 2 migration in the western suburbs of Adelaide and at the time welcomed many young people from Greece, Italy and the former Yugoslavia. It has continued to be at the centre of the successive waves of immigration and the school has established itself at the forefront of supporting cultural diversity and educating migrants and refugees. The school has students from approximately 70 different cultural backgrounds. It also has a strong history of reaching out to the communities of these students and involving them in the broader life of the school. When Panayuola Parha was principal (from 2001) the school articulated 3 core values which remain to today and the first of these, in recognition of the range and variety of students’ cultural backgrounds, was Diversity. The other two were Creativity and Success. The school has also played an important role for many years in supporting Aboriginal education and hosts the Wiltja Secondary College, providing education (8-10) for Indigenous students from Central Australia. Additionally, there are nearly 100 Aboriginal students enrolled at WHS from local Adelaide and regional communities. In 2017 the school was successful in establishing its Aboriginal Basketball Academy. 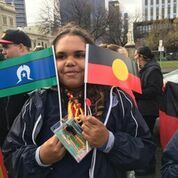 The school believes strongly that its efforts to develop local and global citizens must always start with the acknowledgement and celebration of the prior occupation and cultural lineage of the First Australians. This is the starting point of the school’s commitment to an inclusive multicultural society. 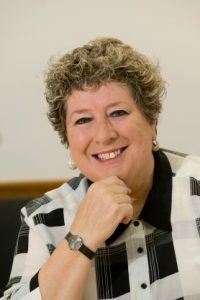 One of the most significant developments under the current principal – Meredith Edwards from 2004 – has been the formal accreditation of the school by the Council of International Schools (CIS) . This was achieved in 2015 after an intensive 3 year process. The move significantly strengthened the school’s commitment to cultural diversity, intercultural understanding and global education. CIS schools are committed to developing global citizens through high quality international education. The CIS organisation itself was set up to connect ideas, cultures and educators from every corner of the world. 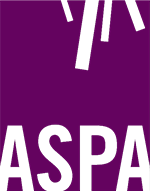 There are 10 CIS accredited schools in South Australia: Adelaide HS, Banksia Park IHS, Charles Campbell College, Glenunga IHS, Marryatville HS, Mitchum Girls HS, Norwood Morialta HS, Woodville HS as well as Woodcraft College and Mercedes College. Interestingly, South Australia, per head of population, has one of the highest number of CIS accredited schools in the world. For example, there are 37 accredited CIS schools in Australia but only 29 in China; and in Australia, the 2 educational jurisdictions with the most CIS accredited schools are Victoria (15) and South Australia (10). Woodville also caters for international students. It welcomes both full fee-paying international students on study programs, as well as international students on short term visits and (cultural) exchange students. 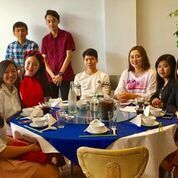 There are international students from Japan and Vietnam visiting the school on study programs. Groups of students from Uenohara High School in Japan have been involved in short-term visits over many years. 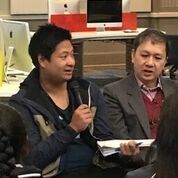 Recently, the school has also benefitted from increased numbers of students from India and the Philippines whose parents have come to Australia on work visas. Woodville High School is an innovative and creative learning community, committed to quality in education and success for all. As a member of the local and global community, WHS provides rich, world class learning opportunities in a culturally diverse environment that values well-being for all. Since the public education system is available to all, South Australian public schools are sites of rich social and cultural diversity. International research shows that the greater the social mix of a school the better the educational outcomes, so the diversity of public schools enhances achievement for all. In addition, this diversity delivers significant personal and social benefits for public school students. They can interact with peers from a wide range of backgrounds, and learn from lived experience to appreciate and respect difference. Such understanding is crucial to the development of the skills and dispositions needed to maintain and enhance a diverse yet cohesive multicultural society. Since education is a fundamental human right, its outcomes should not result from differences in parental wealth, social status or influence. 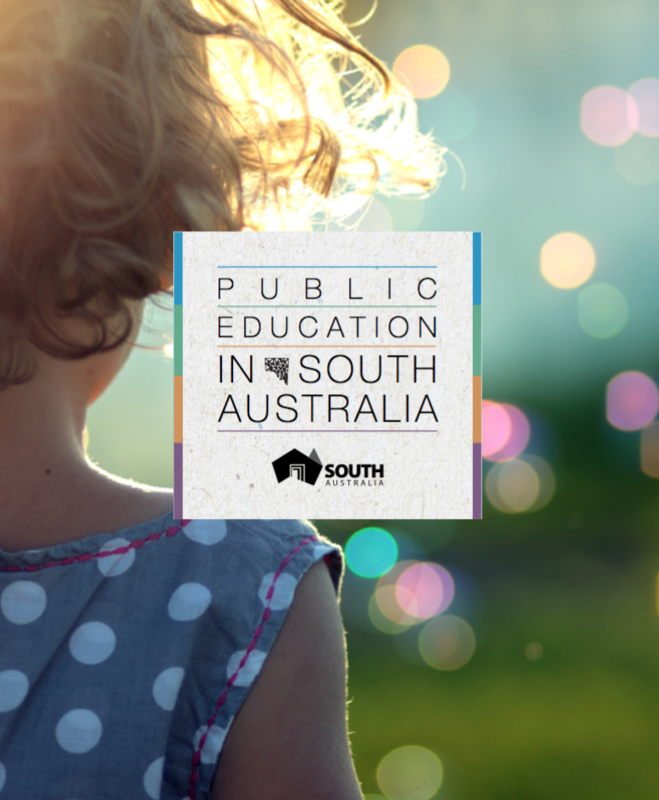 The South Australian public education system and its schools pursue equity through such strategies as providing focused support in teaching and learning and additional resources for students from educationally disadvantaged backgrounds or with special needs. The aspiration is for a public system in which educational outcomes are determined by effort and skilled teaching, not by inequalities stemming from social location. In the 21st century Australia’s capacity to provide a high quality of life for all will depend on the ability to compete in the global economy on knowledge and innovation. Education equips young people with the knowledge, understanding, skills and values to take advantage of opportunity and to face the challenges of this era with confidence. Global integration and international mobility have increased rapidly in the past decade. As a consequence, new and exciting opportunities for Australians are emerging. This heightens the need to nurture an appreciation of and respect for social, cultural and religious diversity, and a sense of global citizenship. In the Australian Curriculum, students develop intercultural understanding as they learn to value their own cultures, languages and beliefs, and those of others. They come to understand how personal, group and national identities are shaped, and the variable and changing nature of culture. Intercultural understanding involves students learning about and engaging with diverse cultures in ways that recognise commonalities and differences, create connections with others and cultivate mutual respect. Critically, the general capability of intercultural understanding acts as a background framework for the experience of schooling at Woodville. Over many years, one of the key strategies employed at WHS has been what is referred to as the ‘braiding method’. It is a strategy intended to provide the opportunity for all the ‘voices’ of the community groups reflected in the school’s diverse cultural profile to be heard and respected. Key to the analogy of braiding or plaiting is the view that all these separate voices can come together and be combined into a stronger reality. The approach is linked closely to student leadership (‘voice’) within the the school because invariably it is the student leaders, including those from diverse cultural backgrounds, who are most involved. The approach moves well beyond the practice of merely including student representatives from all the diverse cultural groupings within the school community in school decision-making processes, to the point where all student representatives/leaders are actively encouraged to explore and represent their cultural beliefs. As an example of this approach, an earlier exercise at the school involved representative student leaders from all the identified cultural groups – then identified as: Indigenous Australians, African, Arabic, Indian, Anglo-Celtic, Balkan, Mediterranean, Vietnamese, International students – working in their groups to identify key values for the group: what they are, what they look like and why they are important? The next stage involved a small number of representatives (2-3) from each of these groups working with an equivalent number of representatives of the other groups to come up with a common, agreed position in response to the following statement: There are universal values that are important to all cultural groups but each culture also has distinctive values that are important to them. The agreed response was then taken back to the individual cultural groups for endorsement. Focus questions at this point included: How can we ensure that Woodville High School values and respects each cultural group’s cultural values? and What can I do personally to increase my understanding of the range of diverse cultural groups in the school? Through further discussion and refinement a final agreed statement was produced and published across the school. 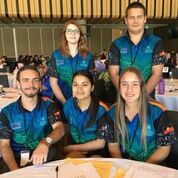 Clearly, this approach extends well beyond the practice of ensuring there are students from culturally diverse backgrounds in the student leadership group. The school has also pursued the Braiding Project in relation to the various faith or belief systems represented in the school. In relation to this particular exercise, the school identified the main belief systems as Bhuddist, Christian, Hindu, Muslim, Sikh and Agnostic/Atheist/Humanist. The overall process in the braiding method borrows ideas and insights from a range of approaches employed in Student Voice and Positive Education, but what is unique about it is the way it focuses on the issue of cultural background as a driver for improved educational outcomes. It employs cultural diversity as a strength. The ultimate focus, in the school setting, on the commonality and strength of these values is critically important. As for other schools, Harmony Day is a major celebration each year in the Woodville calendar. 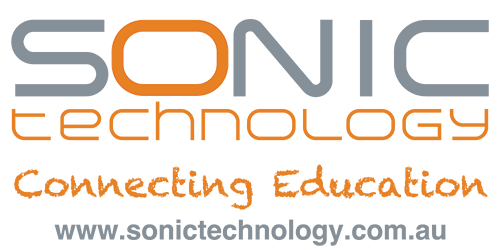 In 2015, the school celebrated its centenary and as part of Harmony Day celebrations that year the school conceived the idea of a Diversity Map. In March that year, all students and staff were rostered to place a dot on a world map to identify the country of their individual family’s culture. The school saw the completed map as … a visual symbol of the wonderfully diverse cultures that WHS students originate from, and a celebration of the HARMONY between cultures here at Woodville. The finished map continues to be prominently displayed in the school. The school places emphasis on other symbols and visible demonstrations of cultural diversity and social cohesion at events such as assemblies and special ceremonies. It is also obviously reflected in school publications. 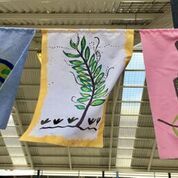 The school has set up parent groups from the various communities – Aboriginal, African, European, Filipino and Vietnamese – and the views from the meetings of these groups help inform the school’s Governing Council. 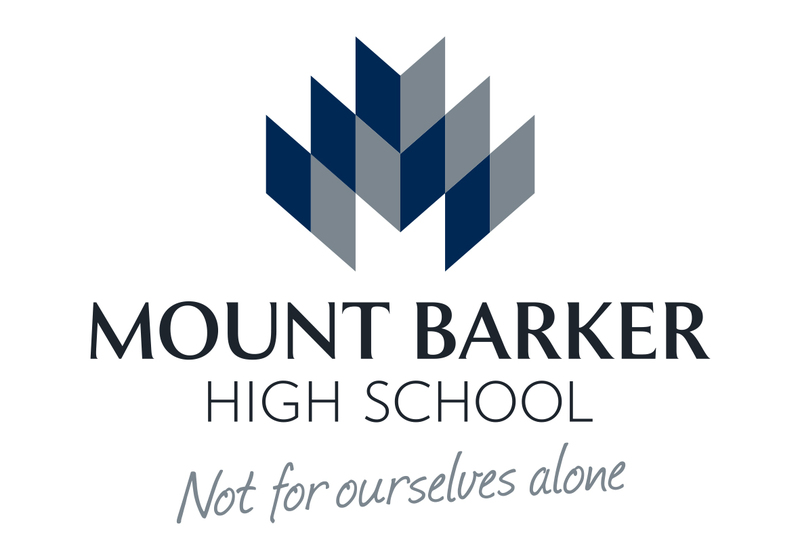 The school offers staff support for these meetings. More broadly, the school’s 3 Bilingual Services Support Officers offer translation and support to families at meetings and school functions, and also for general school communications. The school has been commended, formally, for its inclusive approach to parent involvement. 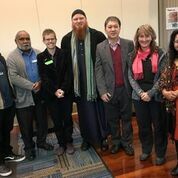 There are also positive relationships with a range of local community groups, for example: Vietnamese Australian Association, Buddhist Temple and local Mosque, Greek and Serbian Orthodox communities, African Workers Network . 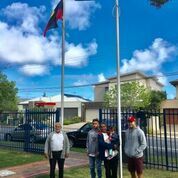 The school has very close association with the local council – City of Charles Sturt Council – which itself has a particular multi-cultural focus. 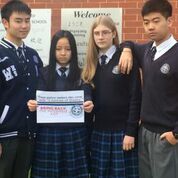 In addition to establishing a school vision that celebrates diversity and actively promoting a school culture that recognises and incorporates the diverse range of student backgrounds in the on-going life of the school, WHS deliberately focuses on global education – with a particular focus on Asia – and intercultural understanding in its curriculum. The capabilities and dispositions developed are also intended to support students in their post-school futures which will inevitably be more global and culturally aware. The school has placed a lot of emphasis on its pastoral care program, known as the Pathways Program. This particular program was introduced in 2009. While it is similar to conventional pastoral care programs – formal home group time is allocated for 15 minutes each day and there is a full a lesson each week; and there are 2 teachers who work with each homegroup and they remain with the same homegroup for Years 8-11 – the agreed curriculum focus for the program covers (1) the general capabilities of the Australian Curriculum, (2) Positive Education and (3) the school’s commitment to Internationalism. Additionally, the school includes references and materials from the UN Save the Children body and highlights the UN Convention on the Rights of the Child. Obviously, this approach enables the school to have a specific, on-going focus on all the elements identified in its broad vision. It also means that the various year levels can adopt a creative approach to all these areas. Global education aims to develop global citizens through promotion of open mindedness and a willingness to take action for change, respecting and valuing diversity, and being active in the development of a peaceful, just and sustainable world. It has much in common with the Melbourne Declaration on Education Goals for Young Australians (2008), which promotes equity and excellence, development of successful learners, confident and creative individuals and active and informed citizens. Global education promotes flexible learning, which empowers students to learn about the world, develop values around a positive sense of self, appreciation of cultural diversity, passion for social justice and human rights and building sustainable futures. Like the Australian Curriculum it is cross-disciplinary to broaden and enrich each student’s learning. Teachers are able to choose how best to introduce concepts and processes and how to progressively deepen understanding to maximise the engagement and learning of every student. 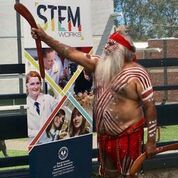 Additionally, the work also referenced the 3 cross-curriculum priorities from the Australian Curriculum: Aboriginal and Torres Strait Islander Histories and Cultures; Asia and Australia’s Engagement with Asia; Sustainability. The work at Woodville demonstrates the potential when pastoral care programs are structured and presented within the framework of the Australian Curriculum, specifically its General Capabilities and cross-curriculum priorities. The approach has enabled the school to strengthen its overall focus on diversity and, in very practical and manageable ways, build and strengthen its essential culture. There can be a fine line and much overlap between the informal and formal curriculum, particularly in the context of the school like Woodville where the pastoral care program is set against the framework of the Australian Curriculum. 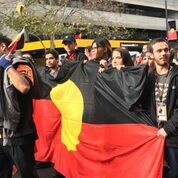 The current Civil Rights Unit focuses only on the American civil rights movement and the Australian Indigenous Civil Rights movements, however this does not include or represent other movements that happened around the world. There needs to be a more global approach that is inclusive of students in the class. 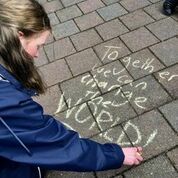 … By comparing experiences of different cultural groups around the world, students will be able to make connections between the different movements and the similarities and differences between them. They will also see how they relate to and often breach the Declaration of Human Rights and International Law. Students will have the option to choose any country and will be encouraged to choose their own cultural background. 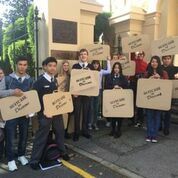 In this particular instance, the relevant list of cultural backgrounds identified across the full Year 10 cohort covered: Australian, Vietnamese, Indian, Syrian, German, African, Chinese, Indigenous Australian, Papua New Guinean, Greek, Finnish, Irish, Scottish, Somalian, Philippine, Bosnian, Thai, Croatian, Macedonian, British and Cambodian. evaluate and reflect on own respectful understandings. Unsurprisingly, there has been a natural tendency for curriculum development at Woodville to take advantage of the global education and intercultural understanding content and perspectives that have been incorporated in the Australian Curriculum. At the same time, there is a deliberate attempt to broaden this approach to all learning areas, including those that, typically, teachers might not associate with such an approach. The most recent example of this priority came in June this year (2018) when a full-day of professional development was devoted to a whole-school, curriculum mapping exercise. On the day, all learning areas overlaid on their curriculum both the continuum developed by the Australian Curriculum for the general capability of intercultural understanding and the organising ideas for the cross-curriculum priority of Asia and Australia’s Engagement with Asia. As well, there was a specific requirement that each learning area was to develop 2 new assessment tasks – one of them a common assessment task – that had a focus on internationalism and which could promote deeper levels of cultural understanding. In time, the work will also consider the possibility of cross-curriculum alignment – both horizontally and vertically – in relation to the various topics and interests covered. The curriculum mapping also extends to looking at how to incorporate the skills and dispositions that underpin global citizenship. This work will come to be documented in the various unit planners. 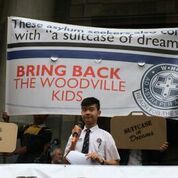 Woodville High School has a long and rich history of supporting the cultural diversity that has been an ongoing characteristic of Australian society post World War 2. Across the vision that the school has fashioned for itself, its own school culture and its curriculum it has worked consciously to ensure that all its students, irrespective of their background, are able to take full advantage of the education offered. Further, it has employed the significant level of cultural diversity that characterises the student cohort as a powerful educational asset. It has also ensured that the cultural diversity has strengthened the school’s social cohesion and distinctive identity. Woodville High School is also a school that has formally declared its commitment to intercultural understanding and global education. Again, it has taken this position in recognition of the potential it offers to improve educational outcomes for all its students. 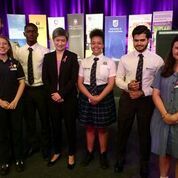 Woodville High School clearly demonstrates the characteristic of Diversity and cohesion as outlined in the the 2017 statement on Public Education in South Australia. However, as noted, none of the characteristics – Diversity and cohesion, Equity, Quality, Collaboration and trust, Democracy Diversity and cohesion, Equity, Quality, Collaboration and trust, Democracy and Community and Community – exist in isolation, and it is apparent that Woodville exemplifies the extent to which all other characteristics both underpin and are driven by its deliberate, deep and long-standing commitment to students coming from culturally diverse backgrounds.